It was only yesterday when we wrote about how the Nokia N1, the Finns' excellent come-back product, is about to brawl with the Google Nexus 9 for attention like only the iPad Air Mini 3 can. We felt it was worth putting the two against each other in an in-depth specs comparison before the battle transcends the Internet and becomes a market reality. On the surface, the two tablets seem remarkably similar, but they have significant differences. While the two share almost identical front panels, back panels, button and camera placements, the HTC-made Nexus 9 is built from plastic, while the Nokia N1 is carved from aluminum. Although it is marketed and priced as a premium device, the Google Nexus 9's build quality left something to be desired - the plastic feels cheap and gives in when the tab's back panel is pushed. Being an aluminum tablet, the Nokia N1 should be free of any "soft material" problems, and provide a (literally) more solid feel. We knew that Nokia was up to something after seeing yesterday's teaser, and now we know what's been hiding in the mysterious black box. 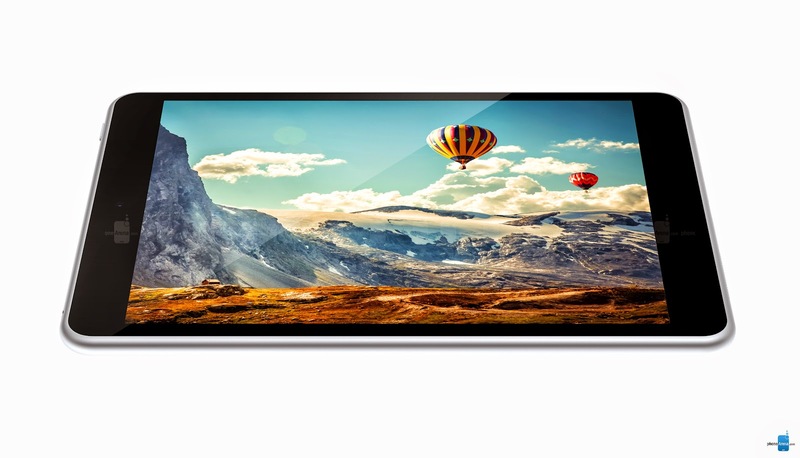 Meet the Nokia N1 tablet – a compact, stylish, and inexpensive tablet running Google's Android operating system. Yes, folks, we're dealing with an Android slate here, but before we get to the software part of the deal, here's what you need to know about the tablet's design. The Nokia N1 is a sleek, aluminum-made device with a thickness of just 6.9 millimeters. And at 318 grams, the device is both slimmer and lighter than the leader in the segment, namely the iPad mini 3. During the announcement, Nokia pointed out that the lack of sharp corners make the device comfortable to hold even for prolonged periods of time. 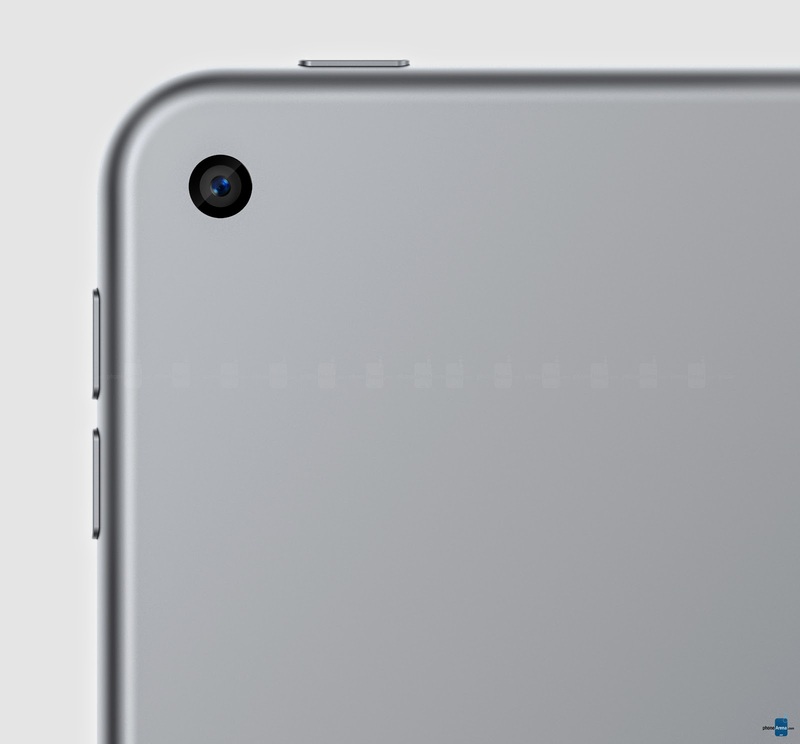 On the tablet's bottom you'll find a reversible USB 2.0 connector (type C). Sweet! 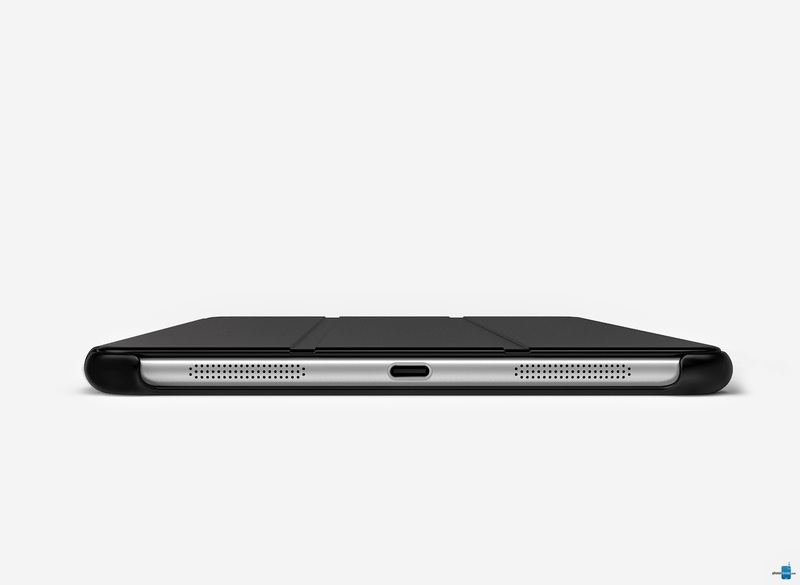 The anodized, one-piece aluminum body of the N1 is treated to a Natural Aluminum or Lava Gray finish. On the front of the Nokia N1 resides a 7.9-inch IPS LCD display with a resolution of 2048 by 1536 pixels and an aspect ratio of 4:3. We must absolutely mention Apple's iPad mini 3 again as it is matched by the N1, at least specs-wise. The fully laminated, zero air-gap screen is protected by a layer of Gorilla Glass 3. Under the hood of the Nokia N1 is tucked some pretty potent silicon, including a 64-bit Intel Atom Z3580 processor with a 2.3GHz maximum clock speed alongside a 533MHz PowerVR G6430 GPU, 2GB of RAM, and 32GB of storage. This hardware combo is nothing to frown at as it is about as capable as a high-end Snapdragon SoC, according to benchmarks. As far as connectivity goes, you get Bluetooth 4.0 and Wi-Fi 802.11a/b/g/n/ac at 2.4 and 5GHz and MIMO antennas for better reception. Alas, there's no GPS or cellular connectivity on board. Turn the slate around and you'll find an 8-megapixel auto-focus camera with 1080 video recording capabilities, which is pretty good for a tablet of this category. Video chats are made possible by a 5-megapixel front-facing cam. Audio is reproduced by a pair of 0.5W stereo speakers paired by a Wolfson WM8958E codec. 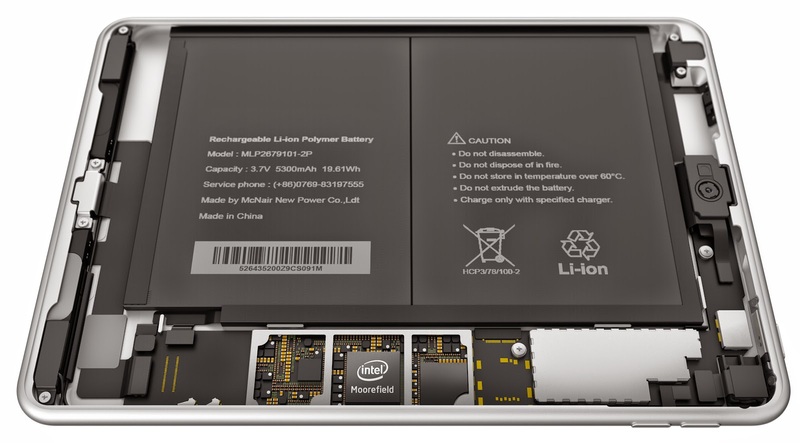 Battery life details aren't being mentioned, but we're pretty sure that the N1's 18.5 Wh (5300 mAh) rechargeable lithium polymer battery won't disappoint. As for the software running on the Nokia N1, the tablet will ship with Android 5.0 Lollipop, but in a heavily modified form. On top of the platform will be layered Nokia's own Z launcher, which is built on the principles of simplicity and ease of use. The software simplifies the process of finding your apps by letting you scribble its name onto the screen. On top of that, the Nokia Z launcher takes the time of the day and the user's location into account to bring relevant applications at the user's fingertips. For example, entertainment apps are suggested in the evening, when the user is at home, while productivity apps are prioritized at the office. You can give Nokia Z launcher a try on your Android device, in case you're interested. So, how do you get one of these sweet Nokia N1 tablets? Well, you can't, at least not yet. 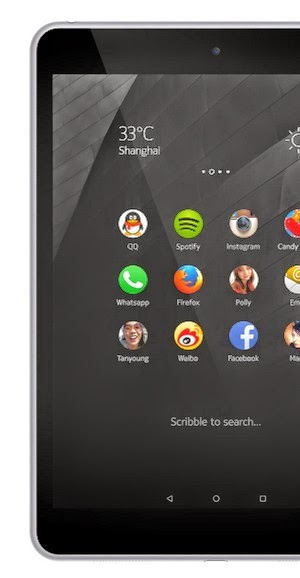 The Nokia N1 will be released in early 2015, just in time for the Chinese new year. Nokia is planning on launching the slate in China for a price around $249 before taxes, with "anticipation of expanding sales" to other parts of the world. Further availability details remain unclear for now. UPDATE: The Nokia N1 tablet will be manufactured by Foxconn – the OEM that builds a huge fraction of the electronics on the market, including Apple's iPhone and iPad. The actual design of the product, however, is Nokia's work, and Nokia will be receiving licensing fees for the use of its brand name. With the N1, Nokia is aiming to deliver a tablet as good as the iPad mini, but at a lower price point, clarified Nokia's technology chief Ramzi Haidamus.